Guess who’s just turned 8 years old? That’s right, us! 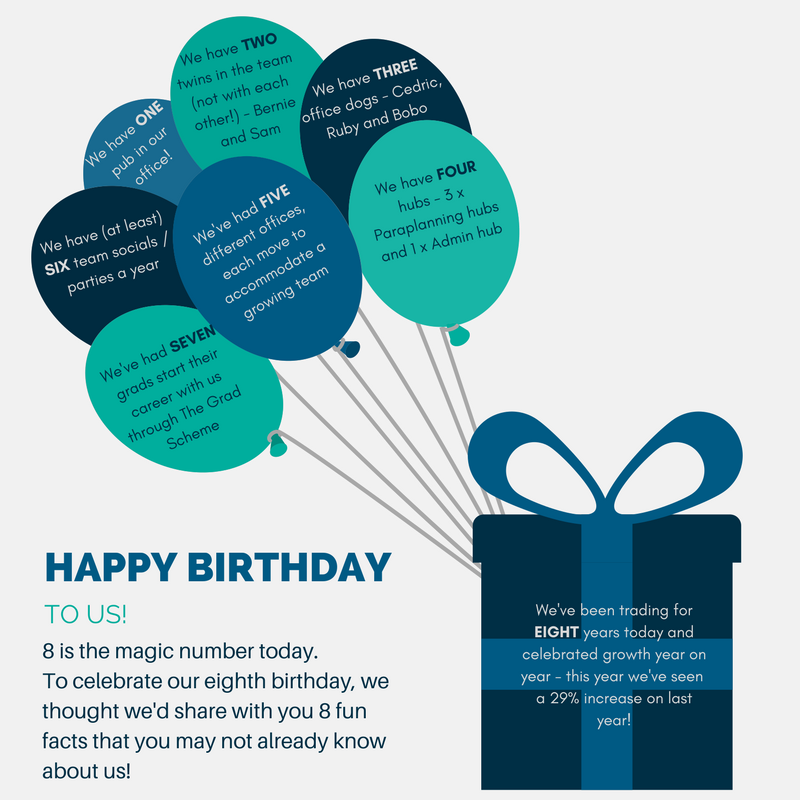 1st June is a great day to celebrate a birthday – Marilyn Monroe, Morgan Freeman, Heidi Klum – we’re up there with the very best of them. 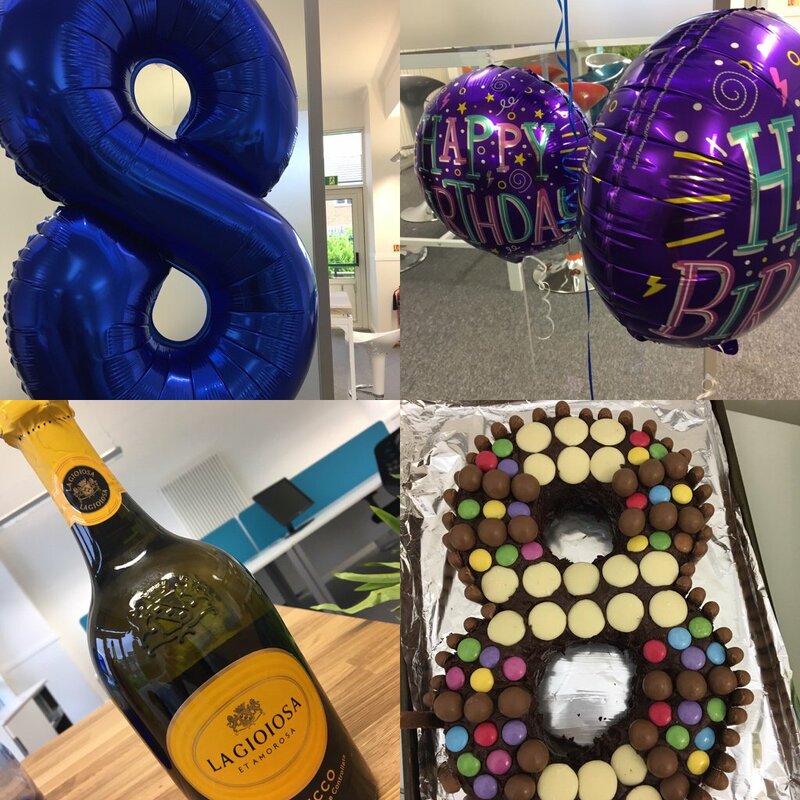 Those of you who know us well will know that every birthday we pull out all the stops to make sure the full team have a good old fashioned knees up – cake, bubbles, balloons, you name it, we had it. It’s fair to say that it’s the ‘away day’ the team look forward to most and this year didn’t disappoint. We spent the morning tying up the week’s loose ends and having new professional team shots taken (see right) before getting celebrations underway in the afternoon. Previously, we’ve been go-karting and gotten very muddy doing an assault course in a forest so this year, we decided on an activity which yes, was less active but still required the same sort of soldier-like stamina and endurance. This year, we did wine and cheese tasting! Look how civilised we’ve become in our ‘old-age’, some would say we’re like a fine wine… (pun intended). In true Para-Sols fashion, there was also a competitive twist in the shape of our bi-annual Para-Sols Quiz and we must say, Si and Sam did a fine job as Quiz Masters to keep the order on the battlefield, especially when wine-fuelled emotions ran high during the tie-break. Still standing, we finished the evening with tapas, cocktails and dancing so all in all, a good time was had. Yes, birthdays are undoubtedly a time for cake and fizz, but they’re also a time for reflection as you look back at what you’ve achieved. We did that too this year, with a humbling sense of how much we’ve grown. 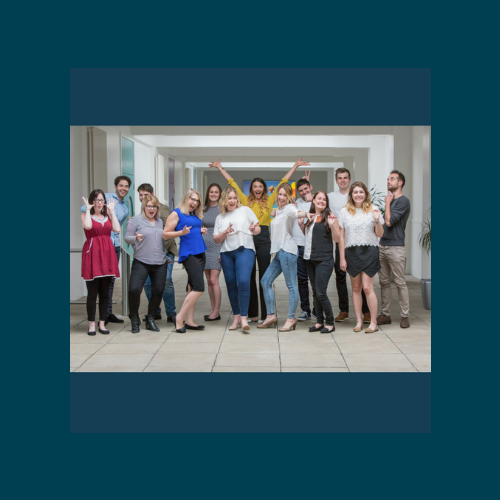 A record-breaking increase in turnover, 5 new members of staff (since the beginning of 2017) and more grads set to join us next month via our Grad Scheme, has given us a big almighty push of motivation and determination to achieve the HUGE plans we have in motion for the year ahead. P.S You’re itching to know we’re sure, the tie-break question was ‘How many rooms does Buckingham Palace have?’. Tweet us with your guess. No cheating now!